Area of Use: For use in and around buildings, Open Areas & Sewers. Racumin Paste is an extremely palatable soft block formulation, due to its high-food grade ingredients, texture and the blending of the bait. 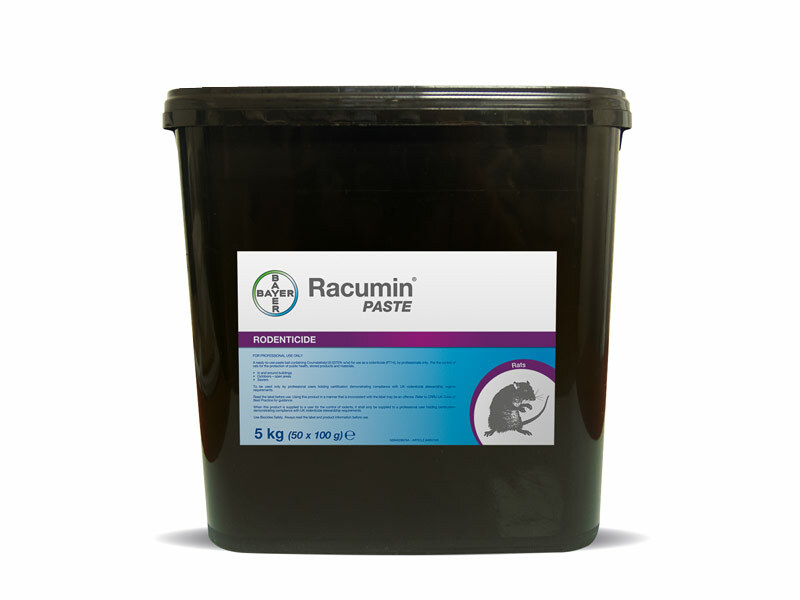 Racumin Paste can be used for the control of rats in and around buildings, in open areas and in sewers. The active ingredient Coumatetralyl (0.0375%) is a multi-feed first generation anticoagulant that can provide an effective alternative to second generation anticoagulants where environmental risk mitigation measures are required.